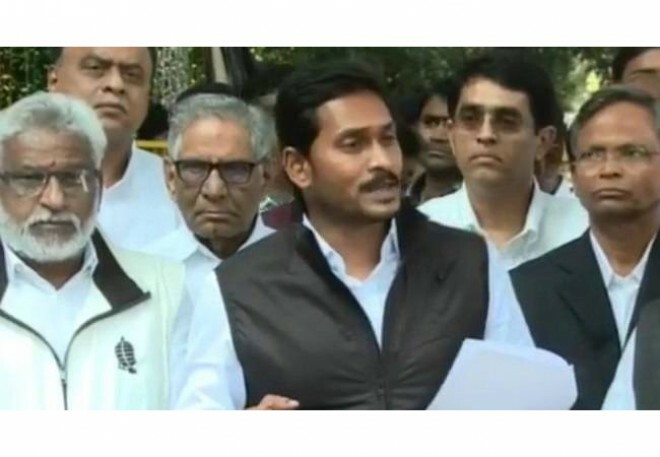 Hyderabad, Feb 21: The Election Commission (EC) of India has issued a notice to YSRCP supremo YS Jagan and demanded a reply by the 11th of March. In this regard, The EC has issued a notice to YS Jaganmohan Reddy over the suspension of the YSRCP founder Siva Kumar who is an advocate from Telangana. Advocate Shiva Kumar, a huge fan of late CM Dr Rajasekhar Reddy, began the YSRCP in 2011 before it was taken over by Jagan. YS Jagan then went on to become the president of the YSRCP and his mother YS Vijayamma was appointed as the honorary president, while Shiva Kumar was given the post of general secretary in the party. YS Jagan had to suspend Shiva Kumar from the party after the latter who was a huge supporter of the Congress during the regime of Dr YSR, had issued a newspaper advertisement asking people to vote for Congress. This was during the time of Telangana elections as a newly bifurcated state when KCR had made strong allegations against the YSRCP. In the wake of this incident, YS Jagan issued a press statement and announced the permanent suspension of Shiva Kumar from the YSRCP. Soon after, Siva Kumar approached election commission that he was suspended from his own party, and argued that YS Jagan has no right to suspend him because the party belonged to him. Siva Kumar filed a complaint with the EC against YS Jagan and demanded that the latter handover the YSRCP back to him.